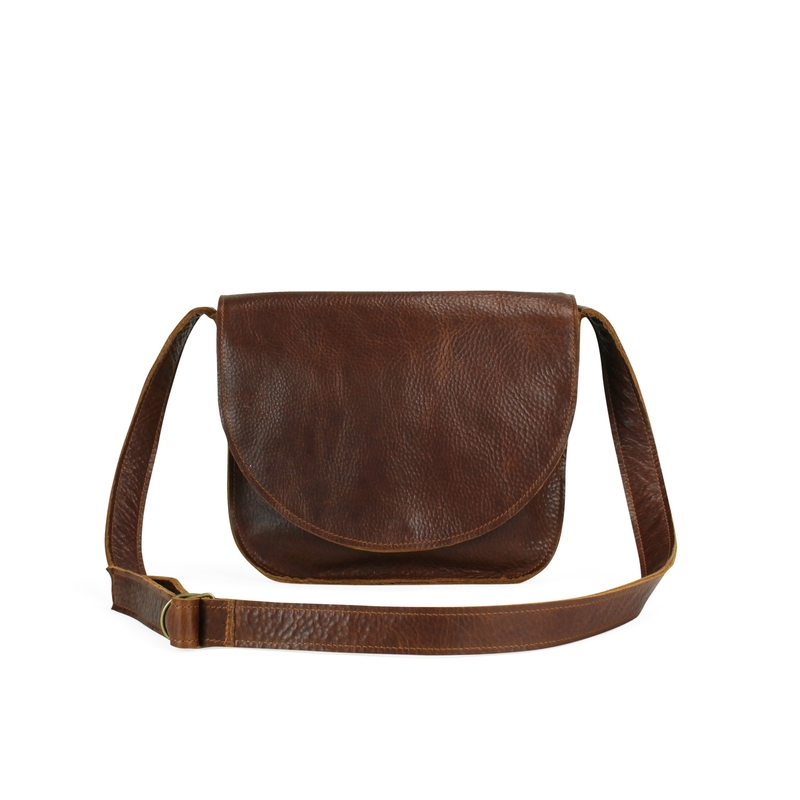 Classic saddle bag for every day and everywhere. With adjustable shoulder strap and flap with magnetic press stud fastening. Fully lined, compartment with zip fastening on the inside. Robust leather gets a beautiful patina by wearing. 100% full grain bovine leather. Slightly waxed and aniline dyed. Leather is a natural product and has, just like you, its own character. So, don't be afraid of some fine lines; they merely indicate where smiles have been :) The leather will naturally age, but this also means that the colour might slightly change as, like a pair of favourite jeans, it picks up life experiences.